President Donald Trump sent a message to Iran on Friday, warning them of his decision to snap back sanctions on their economy. 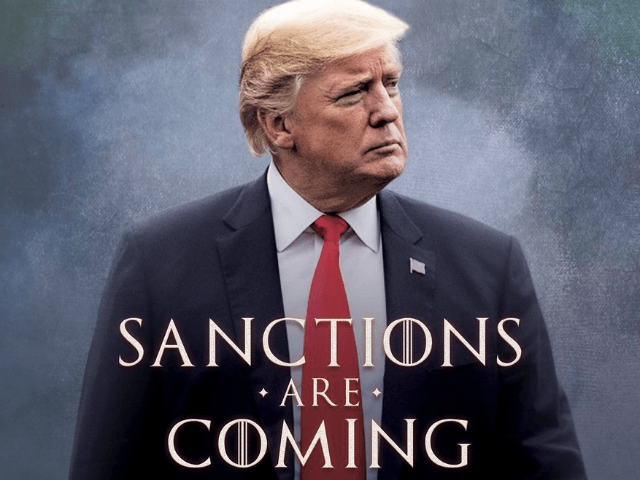 The president’s Twitter account posted a “Sanctions are coming” meme, playing on the popular Game of Thrones “Winter is Coming” meme. Secretary of State Mike Pompeo announced plans to reimpose the economic sanctions against Iran that were loosened by former President Barack Obama. The sanctions hit on November 5. Several countries are expected to get a sanction waiver for Iranian oil, including India, South Korea, and Japan, and possibly China.